pictured as Agents Rossi and Hotchner. 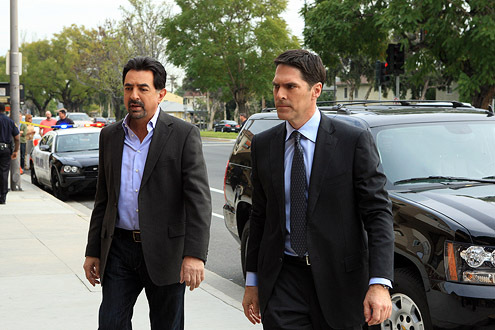 CRIMINAL MINDS stars, Joe Mantegna and Thomas Gibson, recently sat down with SKY to talk about Season 7 of the series. Premier date is September 21. Matthew Gray Gubler ~ The New "Ghostbuster?" SHEMAR MOORE ~ Let Me Be Me! CRIMINAL MINDS ~ A Rift Between Morgan and Hotch?